develops flexible batteries using solid state thin film lithium polymer, Polymer Matrix Electrolyte (PME) for batteries enabling new small IoT devices, smart clothing, healthcare and more. 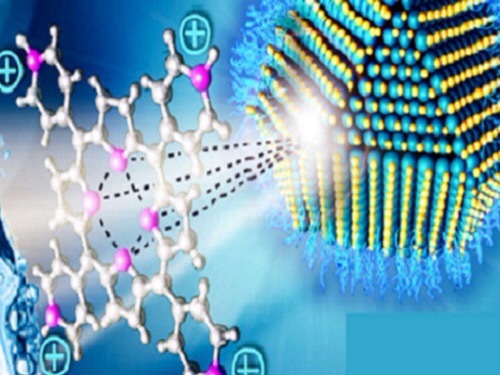 Multiple stacked layers of 2-D materials – known as heterostructures – create highly efficient optoelectronic devices with ultrafast electrical charge, which can be used in nano-circuits, and are stronger than materials used in traditional circuits. Various heterostructures have been created using different 2-D materials – and stacking different combinations of 2-D materials creates new materials with new properties. The ability to understand and quantify how 2-D material heterostructures work – and to create optimal semiconductor structures – paves the way for the development of highly efficient nano-circuitry, and smaller, flexible, more wearable gadgets. Understanding how interactions between the atomic layers change their electronic structure required the help of computational models developed by Dr Nick Hine, also from Warwick’s Department of Physics. 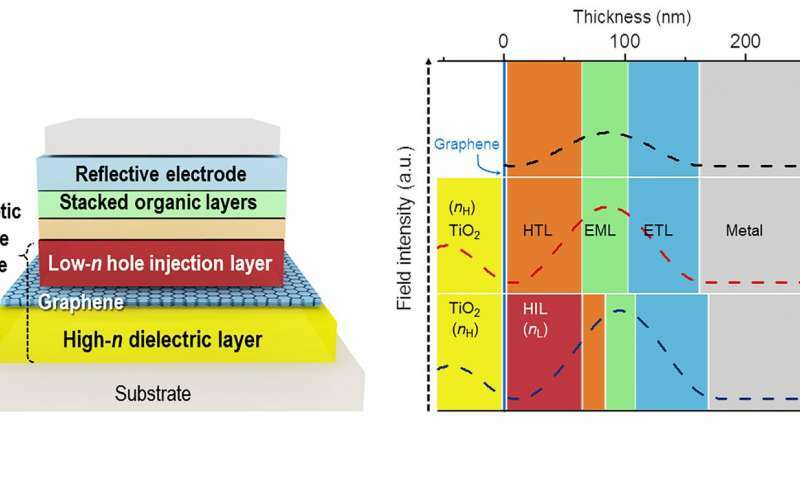 A Korean research team led by Professor Seunghyup Yoo from the School of Electrical Engineering, KAIST and Professor Tae-Woo Lee from the Department of Materials Science and Engineering, Pohang University of Science and Technology (POSTECH) has developed highly flexible OLEDs with excellent efficiency by using graphene as a transparent electrode (TE) which is placed in between titanium dioxide (TiO2) and conducting polymer layers. The research results were published online on June 2, 2016 in Nature Communications. Their new study, published in Science, opens the door for electrical components to be built into flexible or wearable applications, as the lower-temperature process is compatible with a wide array of materials and can be applied to larger areas. The researchers’ nanocrystal-based field effect transistors were patterned onto flexible plastic backings using spin coating but could eventually be constructed by additive manufacturing systems, like 3-D printers. The study was lead by Cherie Kagan, the Stephen J. Angello Professor in the School of Engineering and Applied Science, and Ji-Hyuk Choi, then a member of her lab, now a senior researcher at the Korea Institute of Geoscience and Mineral Resources. Han Wang, Soong Ju Oh, Taejong Paik and Pil Sung Jo of the Kagan lab contributed to the work. They collaborated with Christopher Murray, a Penn Integrates Knowledge Professor with appointments in the School of Arts & Sciences and Penn Engineering; Murray lab members Xingchen Ye and Benjamin Diroll; and Jinwoo Sung of Korea’s Yonsei University. The researchers began by taking nanocrystals, or roughly spherical nanoscale particles, with the electrical qualities necessary for a transistor and dispersing these particles in a liquid, making nanocrystal inks. Kagan’s group developed a library of four of these inks: a conductor (silver), an insulator (aluminum oxide), a semiconductor (cadmium selenide) and a conductor combined with a dopant (a mixture of silver and indium). “Doping” the semiconductor layer of the transistor with impurities controls whether the device transmits a positive or negative charge. “These materials are colloids just like the ink in your inkjet printer,” Kagan said, “but you can get all the characteristics that you want and expect from the analogous bulk materials, such as whether they’re conductors, semiconductors or insulators. The electrical properties of several of these nanocrystal inks had been independently verified, but they had never been combined into full devices. First, the conductive silver nanocrystal ink was deposited from liquid on a flexible plastic surface that was treated with a photolithographic mask, then rapidly spun to draw it out in an even layer. The mask was then removed to leave the silver ink in the shape of the transistor’s gate electrode. The researchers followed that layer by spin-coating a layer of the aluminum oxide nanocrystal-based insulator, then a layer of the cadmium selenide nanocrystal-based semiconductor and finally another masked layer for the indium/silver mixture, which forms the transistor’s source and drain electrodes. Upon heating at relatively low temperatures, the indium dopant diffused from those electrodes into the semiconductor component. Co-authors are Rice graduate students Qi Zhang, Sidong Lei and John Robinson and postdoctoral researcher Bo Li; Lijuan Xie of Zhejiang University, who has a complimentary appointment at Rice. Rice alumnus Erik Haroz and Stephen Doorn of Los Alamos National Laboratory; Robert Vajtai, a faculty research fellow at Rice; Pulickel Ajayan, chair of Rice’s Department of Materials Science and NanoEngineering, the Benjamin M. and Mary Greenwood Anderson Professor in Engineering and a professor of chemistry; and the late Robert Hauge, distinguished faculty fellow in chemistry and in materials science and nanoengineering at Rice. Adams is a senior faculty fellow in materials science and nanoengineering. Kono is a Rice professor of electrical and computer engineering, of physics and astronomy and of materials science and nanoengineering. Yu’s team is also looking into other applications, including medical applications and energy storage, where it holds tremendous potential to be used within batteries to better store electrical charge. Yu’s research has received funding from the National Science Foundation, the American Chemical Society, the Welch Foundation and 3M. The above post is reprinted from materials provided by University of Texas at Austin. Note: Materials may be edited for content and length.